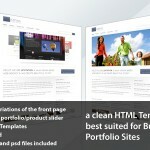 “Levitation WordPress Edition” is a WordPress Template, best suited for Business and Portfolio sites. It comes with 4 skins, each of them very clean and easy editable, and spices this clean design with custom fonts for headings. Appart from its neat look it also comes with a huge admin interface that makes it able to customize almost every aspect of the theme from the backend. Levitation is first and foremost a portfolio template but the alternate index page makes it perfect for other business genres as well. I am curious if you would allow me to implement your levitation script for a site I am working on. If not, that’s alright I will just have to find another solution. Thanks. Hi there. Just purchased the leviation theme and love it! first, thanks a lot for such a great theme. I just have a small pb about the number of portfolio pages one can set up. It starts not working well from the 10th portfolio page, as it displays all the last entries, no matter the selected category. Is it limited to 9 portfolio pages or is there another bug I can’t understand ? 1. How to add a page without the sidebars (that doesn’t pull the Portfolio routine) ? 2. How to Not show the subpages of a single parent page? I´m getting crazy whith editing the dropdown meues. I just need the dropdowns a little (25px) wider as they are by default. I tried a lot of tweaking but it doesn´t work as it should. When you hover a menue item the dropdown appears in the default size for half a second and then in the correct width. In the secont level dropdown the top-border doesn´t go to the end. it is just als lomng as the default width was. Very cranky stuff but I have no idea anymore. I’ve purchased your levitation theme, which I really like. I’m a graphic designer and don’t write code, so I am moving slowly on customizing it. I have tried to use the image slider, but am not having success. Could you give me more detailed instructions? I’ve looked on line for a forum that covers this, but haven’t found one. I have uploaded images into posts and chosen those posts in the control panel. But they aren’t showing up. Right now I have the big slider chosen, to remove the empty shadows on the home page. How can I remove the border around images and images with links. I have search the CSS files and can’t seem to find it. I want to add some social networking links and don’t want to have boxes around the icons. first of all, thank you for the great theme! – Show more than the last three displayed news (six or seven). 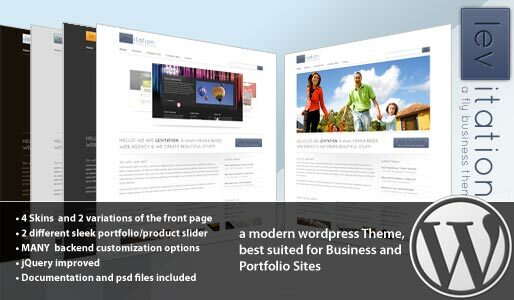 Thank you for your great WP theme !!! I would like to know how to display more then three news in the news widget and how to add a link to the widget name “news” to the news site. you have project to update this theme to WP 3.0?